Are you working in the rental and services industries for equipment, machinery, vehicles and tools? Then you’re likely swarmed by information about current and future IT trends. The buzz includes Big Data, Internet of Things (IoT), Internet of Everything (IoE), Machine to Machine (M2M), Mobility, and Cloud. The promise is that these innovations can revolutionize ways of working and enable new business models to rise. The problem is that the buzz and the promise are too generic. They can apply to myriad industries. Furthermore, what we read usually stops after naming the trends and explaining what they are. So while you likely know that new technologies could help your specific business and industry. It’s hard to find discussions that translate buzz into specifics that apply to you. So my goal is to offer you some specifics: How can equipment-driven rental and services companies benefit from trends like Big data, IoT, IoE, M2M, Mobility, and Cloud? I’ll begin by sketching some currently available technologies and the value they bring to equipment-driven rental and services industries. Augmented Reality offers some prime examples. AR fueled by IoT, IoE, M2M and Mobility, can support technicians who are working onsite to service equipment. How AR works: Technicians use a mobile device (tablet, smart phone, AR glasses, AR helmets) to receive graphical, audio and/or textual instructions for a service task on a specific piece of equipment, based on views of the actual onsite equipment. AR recognizes the piece of equipment. This happens via a camera on the employee’s mobile device. Then it places a graphical overlay on the camera view. The overlay is a predefined graphical path of steps. The tech can follow these steps to fix a specific issue for the equipment. If this piece of equipment is also connected to the internet (IoT), it can auto-indicate the problem. Furthermore it will communicate that to the tech’s mobile device while they’re onsite (M2M). Via the AR overlay, the mobile device can guide the tech step by step through the process of fixing the issue. As a result, when the step-by-step fix fails, the onsite tech can use an app to connect with an offsite service employee. Which has the expertise to help him with this issue. Both employees work with the same onsite camera view. 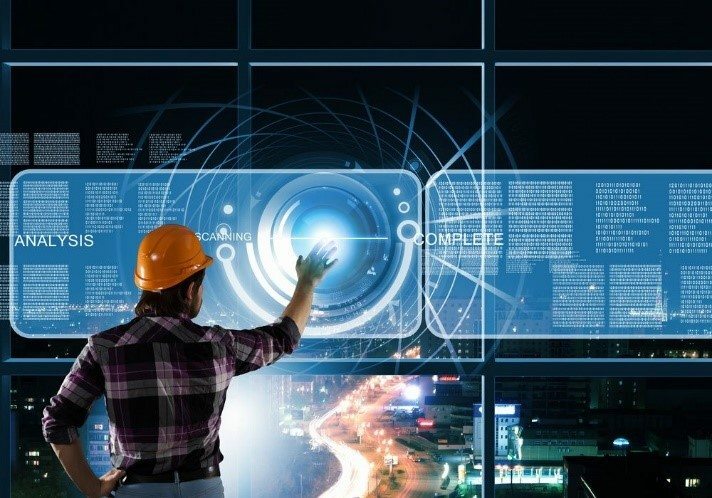 These are just some examples of how AR technology, combined with IoT, M2M, and Mobility can transform ways of working for equipment-driven rental and services industries. What’s the outlook for AR within equipment-driven industries? The potential for AR is great. But it’s doubtful that all these capabilities will be implemented across equipment and services rental industries over the next few years. Acquisition costs are significant. And in addition a lot of data and information needs to be gathered about equipment. Most important, companies that are attached to traditional approaches to equipment-driven rental and services need to shift the way they think about and perform business processes. We won’t see sweeping adoption, until we adress these issues..
At the same time, using AR as an example showcases the rich possibilities available to equipment and services rental industries. It would surprised me if companies don’t change their ways and adopt some of these technologies and tools over the coming years. Stagnation isn’t an option in today’s Marketplace. In addition the benefits do promise to be remarkable. Right now, it’s important to look carefully behind the “buzz” to assess opportunities and risks for equipment-driven rental and services companies. Today’s customers are savvy and independent across all industries, and equipment-driven rental and services customers are no exception. Whether they’re businesses or consumers, they think in terms of “anytime, anywhere” apps and simply expect functionality that’s tailored to their needs, on their preferred devices. Purchasing AR device(s) themselves and requesting data input from the equipment and service rental company. Doing so will enable customers to perform routine service and maintenance tasks themselves to increase equipment uptime on their projects. Requesting an AR device when they rent equipment, with assurance that all data input will come from the equipment rental and service company. Needless to say, the key message here is that the traditional focus on value creation for products & services is shifting to a more data driven one. More and more, the value you bring to customers is based on data and information for products and services that you collect, make actionable, and provide to customers the way they want, when they want. The biggest challenge now is to find efficient, accurate ways to structure Big Data. There’s a vast amount of input coming from a growing number of resources--IoT, IoE, M2M, mobile apps, ERP systems. The value you bring to customers depends on your ability to structure that data. As a result, you get relevant data across mobile channels to your customers. As I see it, equipment-driven rental and service companies need to take that leap. If they can structure data so that it meets customer demand for information-based products and services, and also mine data to identify trends and changes in the operational process on the fly, those companies will eventually become or remain the market leaders in their industry. 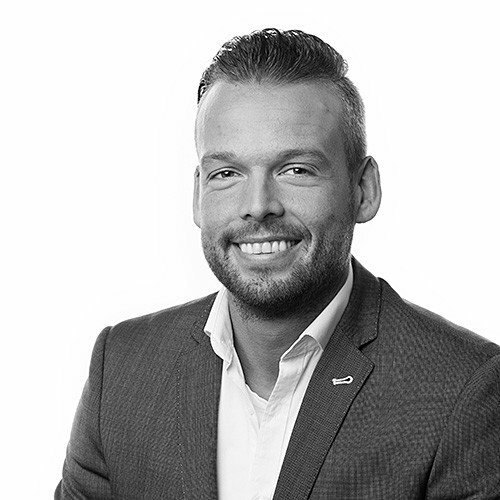 Over the past 12 years, Wouter van der Torre MSc has worked as a business consultant for international equipment-driven rental and services companies. His business and technology expertise has played a key role in many successful IT implementation projects, resulting in a proven track record across multiple industries.